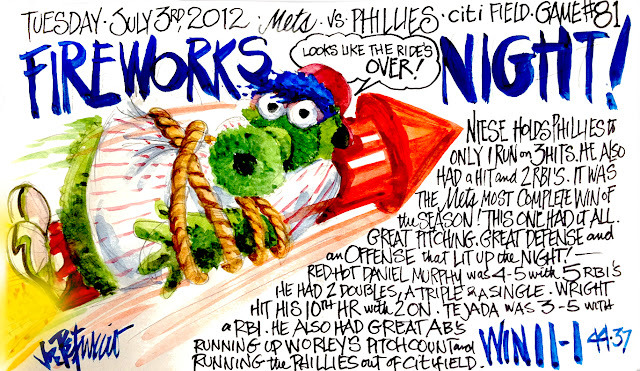 My Mets Journal: FIREWORKS NIGHT ! Thanks Too bad next game didn't have the same result. LGM! Joe, I can't wait to see tonight's rendering after Wright and co pick up R.A. What a game!!! Love it. Let's Go METS!